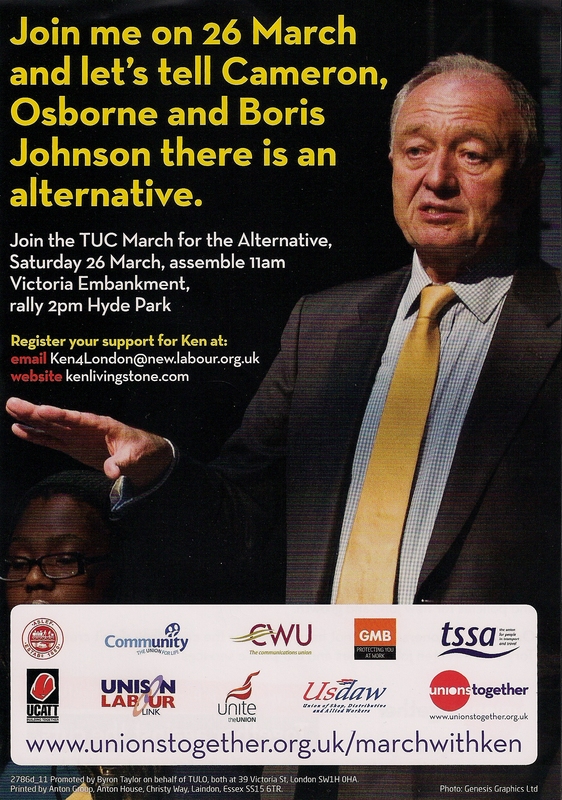 A Brent Labour delegation will be going to he March on 26th March 2011. The march is to show the Tory Liberal Government that there is an alternative to the drastic fast and deep cuts which are too fast and too deep. 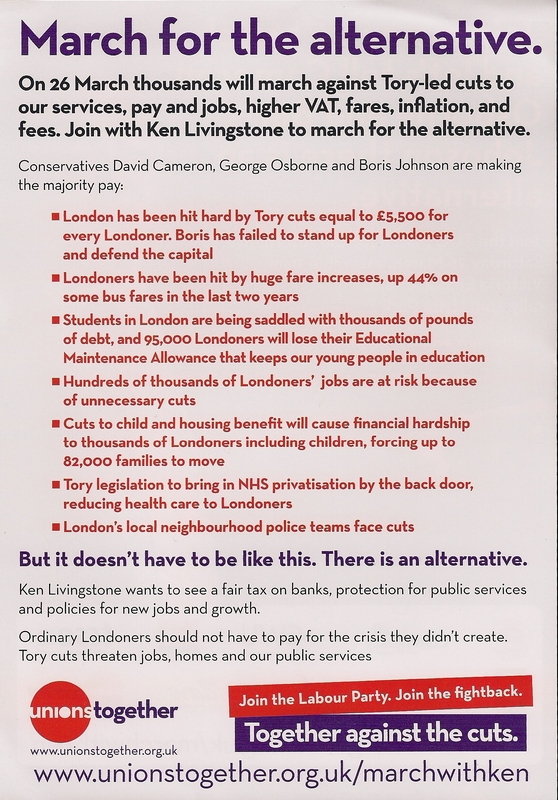 Posted on March 15, 2011 March 14, 2011 by Cllr Krupesh HiraniPosted in Economy, LondonTagged Coalition Government, cuts, March for the Alternative, There is an alternative, Yes We Ken.